Pear Brilliant Cut Diamonds are becoming popular and are high in demand among our customers that are looking for something unique and different. We can also affirm that often when customers inquire about pear cut diamonds, they are pretty sure about what they want and why they want a pear cut diamond. So what are pear cut diamonds? The shape of a pear cut diamond is developed by brilliantly combining the faceting brilliance and fire of both round and marquise shape diamonds. Since they are relatively lengthy like an oval or marquise cut diamond, they can appear larger than say a cushion cut diamond. What are the most important points to look for in a summarized manner? Obviously, we recommend that all diamonds should be graded by GIA (Gemological Institute of America – one of the best diamond certification in the world.). Other than that, in terms of carat weight, it depends on your budget – anything above 1 carat is a great choice. In terms of clarity, SI2 or Slightly Included 2 is fine for under 1 carat, and for above 1ct., go for SI1 or above at a minimum. In terms of color, G (near colorless) or above is great, but if you have a budget issue, anything above J color is fine too. Also, go for up to medium blue fluorescence in G-J color diamonds. In terms of cut, a depth of 55-69 is fine. In terms of table, a table of 52-65 is good. In terms of length to width ratio, a ratio of 1.38-1.65 is good depending on how wide or lengthy you want the diamond to appear. Compare the cut quality of the stone with JamesAllen.com. They are very safe and reliable when it comes to diamonds and fine jewelry. Here is our best summary for how to assess the cut of a pear shape diamond. This is very important because GIA does not assign a cut grade to pear shape diamonds, and just polish and symmetry is not enough to assess the cut of a pear shape stone. Depth, Table, and Length to Width ratios are among the most important factors while analyzing the cut of a pear cut diamond. Thickness of girdle is also relatively important. 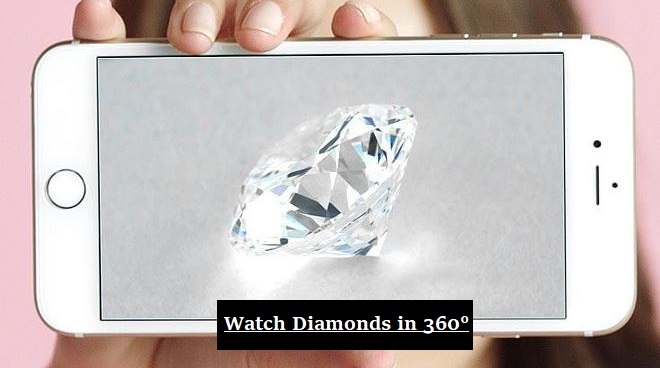 James Allen has the best technology to view diamonds in 40X Magnification and 3D Technology with 360 Degree Angle. Compare Pear Cut Diamonds with this technology to avoid any bow-tie affect and pick a well-cut pear diamond. See more about fluorescence here. 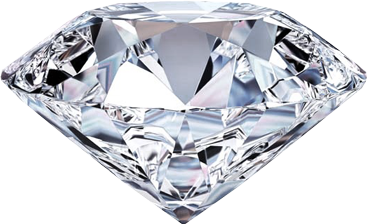 The issue of clarity is the same in all diamonds. Because diamonds are naturally formed due to high pressure, depending on what type of inclusions they are, not only can they be visible in SI or below clarity grades, they can also affect the brilliance and fire of a diamond. First, determine what you can afford, and based on that, determine what clarity is appropriate. It not important to go for the highest clarity grade (flawless), VVS/VS1 are great grades for investment grades diamonds. Because inclusions are the natural birth marks of a diamond, sometimes dealer would even prefer a VVS grade over flawless or internally flawless because it is one way to distinguish a natural diamond from a synthetic one – it is almost impossible to make such inclusions in lab made diamonds. If you are on a budget, SI2 or above clarity grade is also fine as long as the diamond is eye clean to the naked eye. In this case, getting a diamond that does not have inclusion on the table is important. Also, make sure that the inclusions are not heavy black crystals. We generally prefer diamonds that have small inclusions spread out across the diamond, and ones that are not on the table. Second, balance the issue of clarity with the other 3Cs of the diamond such as carat weight, color, and cut. For example, it would be wise to get a D color diamond that is much smaller and lower in clarity than another one that has a better balance of the other Cs and is not compromised in terms of the cut. Sometimes a 0.7ct diamond would look as big as a 1ct. simply because the cut of the 1ct. is compromised and the diamond is cut shallow to save more weight while cutting it. Just like clarity, color is the same in all shape diamonds. In terms of importance, color is considered to be second most important factor after the cut of a diamond because it affects the overall appearance of a diamond unlike clarity which affects one specific spot. First, determine what hat you can afford. If you can afford it, go for the highest color grade – D to F colors which are considered colorless with no fluorescence. However, if you are on a budget, G-J colors are also considered near colorless, and could be good options. Our optimal color ranges on budget are G/H or at most I color. Medium blue fluorescence is a good ally in G/J color diamonds. Because fluorescence is blue, and blue is a complementary color to yellow, usually it would make slightly tinted diamonds appear whiter than they actually are! Second, balance the color with other 3Cs, such clarity, carat weight, and cut. While it is an important C, one should not compromise heavily on clarity and carat weight and most definitely not on cut in order to get a better color diamond! What about the issue of fluorescence? The presence of fluorescence affect the price of a diamond, but it can be an ally for those of you with budget constraints. Basically, while it does not affect the brilliance of a diamond in most cases, we recommend avoiding it in D-F color diamonds. The boundary line is G color where it is neutral, and in H and above color diamonds, up to medium blue fluorescence is often a plus as it can make the diamond look whiter. Read more about fluorescence! This is a very technical term in the industry and most consumers are not aware of it. It is also not specified in a GIA report so you won’t know. BGM stands for Brown, Green, and Milky. These are shades that some diamonds, regardless of their clarity or color, would have and can affect the brilliance and fire of a diamond. Ask your dealer to inspect the stone for you and make sure that it doesn’t have any BGM. Most dealers care about their clients and will make sure that they get a good stone; all you have to do is to ask and clarify! Is it a reliable brand/reputable company? Do they offer a life-time service plan? Do they offer fair life-time upgrade options? James Allen for example all of these options. Make sure you have considered seven factors such as shape, carat weight, cut, color, clarity, certification, and fluorescence while purchasing a diamond. These are the main factors that affect the price of a diamond. Also, make sure you balance are 4Cs and do not compromise on 3Cs over one particular C. Finally, go for a GIA graded diamond. They are the most consistent in terms of grading in the industry. AGSL (American Gems Society Laboratories) is the second lab that we would consider only if we cannot find a GIA graded diamond in a specific range. Let us know if you have any questions or if you want us to get you a diamond at a great price. Read our reviews, we are small, but the best in the industry!